54 years ago, a few electric utility safety professionals from four Midwestern states gathered together to share challenges and ideas in promoting safety and formed Quad State Instructors, Inc. Today, more than 120 QSI members hail from 22 states and the organization holds two conferences per year where attendees can exchange information and solutions, upgrade skills and collaborate on training programs and best practices. Members are primarily electric utility safety professionals serving electric cooperatives and municipal utilities. Led by an elected executive team of four members, Quad State Instructors has a long-standing mission to collaborate, promote and continuously identify best practices in safety and risk management that will provide its members the tools and resources necessary to effectively enhance their individual organization and community safety programs. All QSI conferences, committees and projects are organized around the fundamental value of increasing safety awareness and education through a variety of trainings, discussions and presentations from experts in the safety field. Membership continues to grow year over year, and members can earn 15 continuing education credits for attending a QSI conference. Networking and program sharing are the benefits that really set this organization apart. QSI also maintains an online archive with hundreds of programs developed for use in utilities. 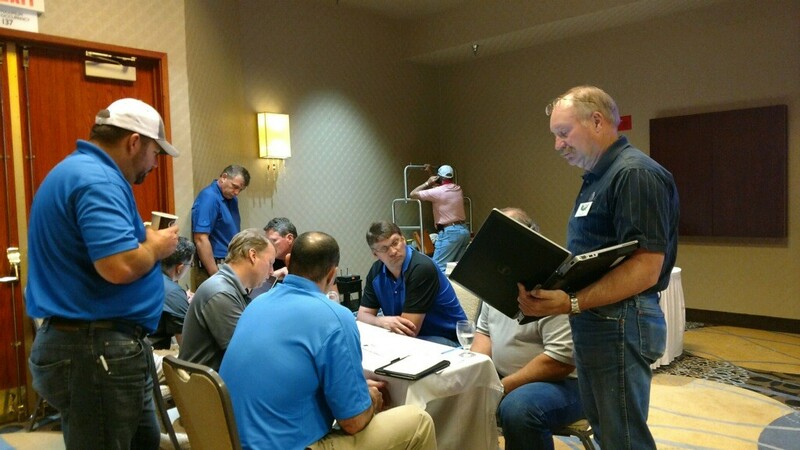 QSI members sit on many different committees and contribute to an array of different programs, making a difference in the safety of thousands of utility employees at cooperatives and municipalities across the United States. “I’ve worked in the electric utility industry for over 30 years, and I’ve been involved with several groups that promote safe work practices and technical training. The Quad State Instructors is by far the most dedicated team I have been affiliated with. QSI’s commitment to getting our utility personnel home safely each and every day is second to none,” remarked QSI vice chair Matt Pociask, who serves as a job training and safety instructor with the Iowa Association of Electric Cooperatives. Over the years, QSI has collaborated with the National Rural Electric Cooperative Association (NRECA), Federated Rural Insurance, and the National Utility Training & Safety Education Association (NUTSEA) on projects and ventures, including the original safety accreditation program, assisting in the development of annual inspection criteria with Federated Insurance, creating a model safety program, compiling a comprehensive list of job safety analyses, developing OSHA compliance documents, and various technical projects. QSI continually works to develop relationships with vendors and manufacturers in the utility field; these partnerships keep members informed on trends and new technologies.